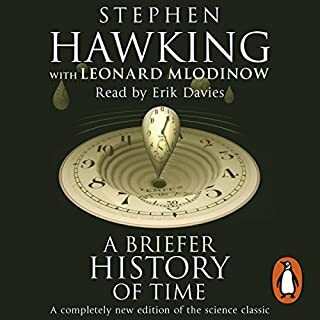 Stephen Hawking's worldwide best seller, A Brief History of Time, has been a landmark volume in scientific writing. Its author's engaging voice is one reason, and the compelling subjects he addresses is another: the nature of space and time, the role of God in creation, and the history and future of the universe. Too much talk of God. American market focused. upon listening I didn't think I'd enjoy it but my word was I wrong,I listen as often as possible now.